I was actually very close to declaring this a failure last night. I had simply tried to do too much in one week and the game was a mess. This morning, I decided to cut it way down in an attempt to salvage a game within seven days. I'm glad I did as I'm quite pleased with how it has turned out. 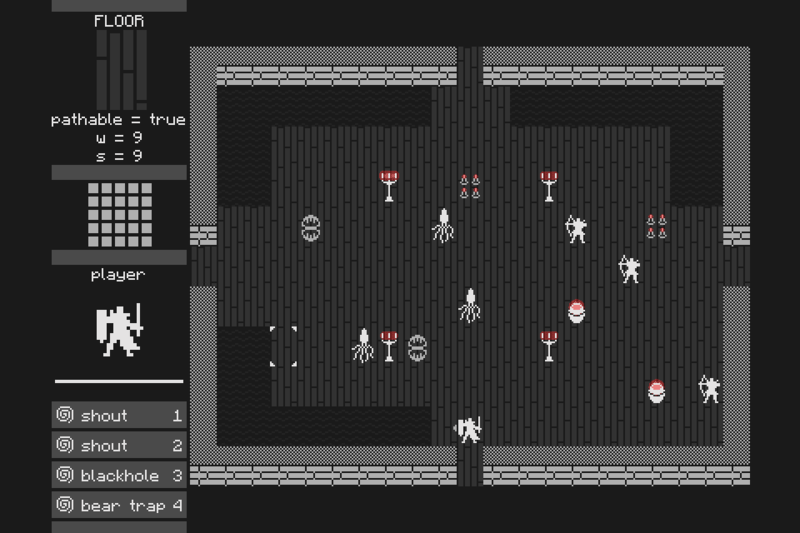 You control a ragtag band of monsters attempting to loot treasure in a dungeon filled with heroes. Only one monster can be controlled at a time. Tag them out to let them regenerate health or access another set of abilities. 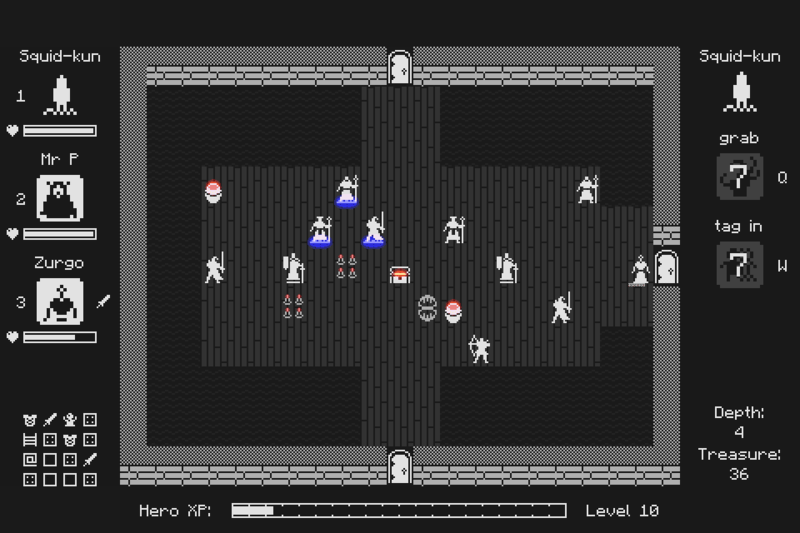 The game focuses on area of effect, knockback-type abilities. Heroes can be killed instantly by knocking them into walls, traps and so on. Use the dungeon map to make your way through the dungeon as efficiently as possible otherwise the heroes will gain XP and become too powerful. I fixed up all the major bugs (that I know of,) added some more abilities then set it up so that you respawn with a randomised set of abilities whenever you die. Then I wasted a lot of time trying to figure out why the game was not running the same on Google App Engine as it does on my desktop. I wish I'd tested this more before the challenge. It basically came down to differences in the way some openGL resources are initialised. Anyway, I'm happy to have a version released already. I came up with a new idea while coding a bunch of player abilities. 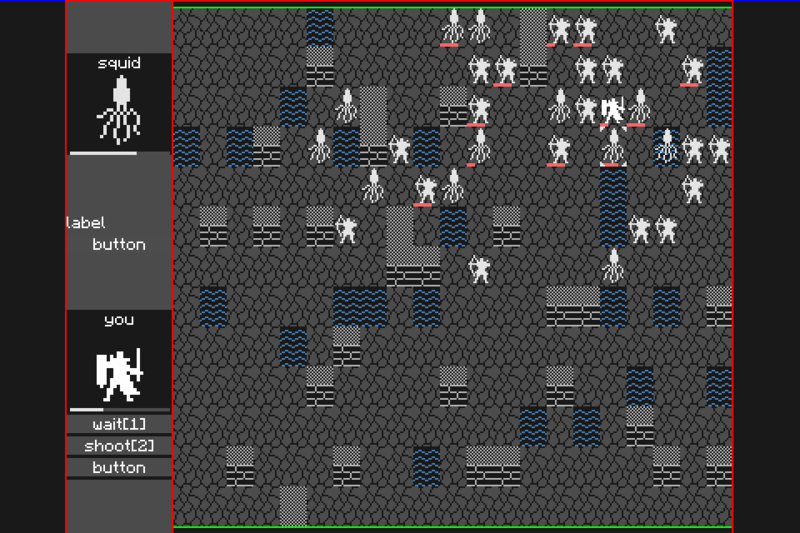 My current focus is to have a game based around knocking enemies into environmental hazards to kill them. 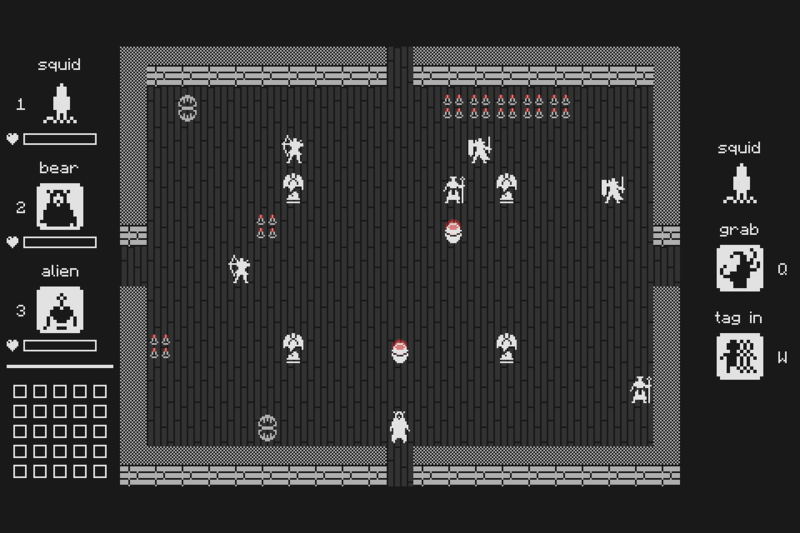 Dungeon rooms would be full of traps, explosive barrels and so on and you'll have a bunch of abilities to force enemies where you want them, get around the map quickly and create more hazards. Having interesting rooms is going to be the big challenge in this game and it basically consumed the whole day. So far we've got spikes, pools of water, explosive barrels and bear traps and a bunch of other random clutter to fill up rooms. I'm going for a sort of Sin City style look where it's mostly grey scale with effects in colour. The 2014 7DRL has begun and I'm now half a day into it. I thought I'd do quick a post showing my starting point for this year's challenge. The following screenshots show what I'd done BEFORE the challenge started. Isn't this cheating? I don't think so because I consider it to be working on the "engine", not the "game". Also, the official rules say it's fine, especially if I state what pre-existing code I started with, which I'm doing now. 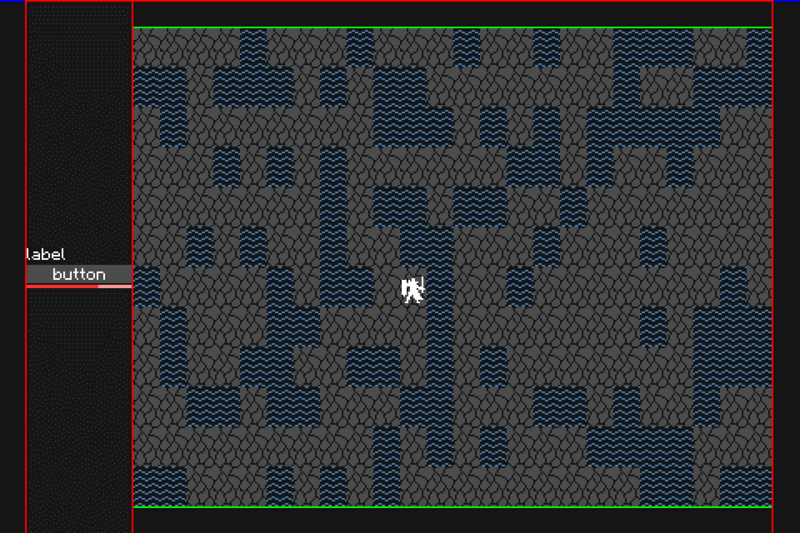 Basically, I'd rather spend the 7 days working on gameplay instead of implementing path finding algorithms and so on. So there you go. The monsters are low on health because they've been attacking each other and the game crashes if your health drops to 0. I have a long way to go but I think it's going to be a fun week. 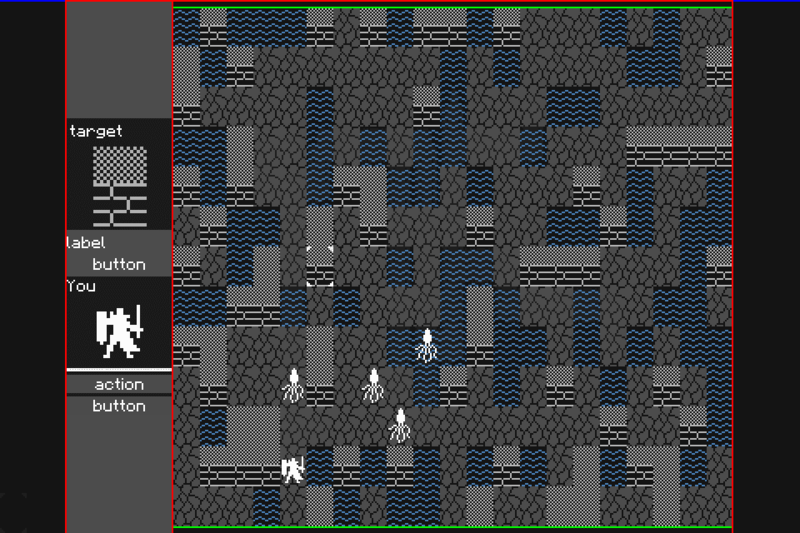 I'm using oryx's tileset and targeting a HTML5/webGL release that should be playable in any modern web browser. 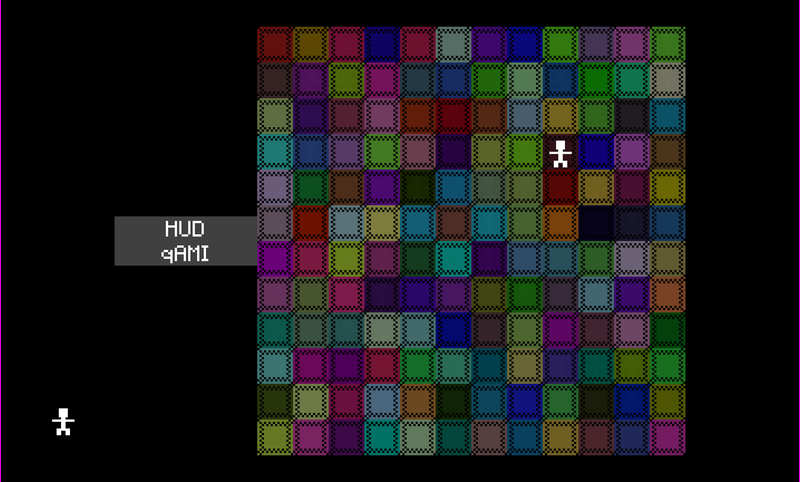 I've also been playing around with shaders recently and the engine already supports basic "glow" effects. 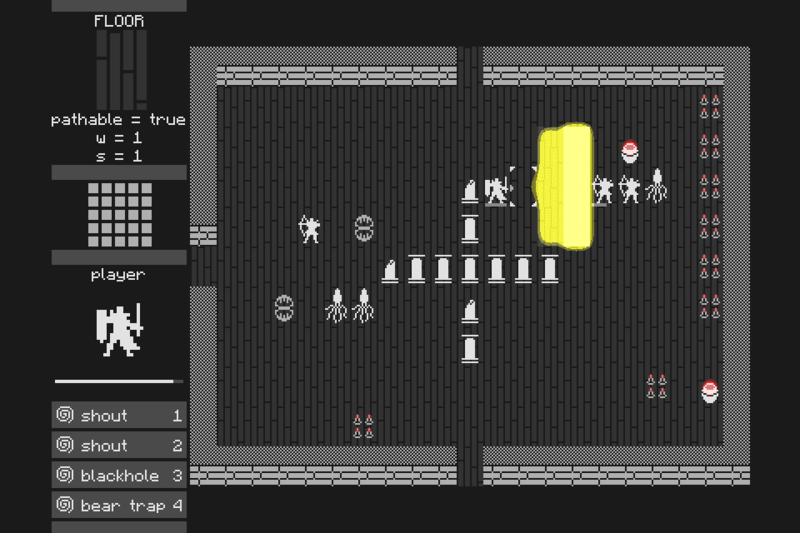 If you're still reading, you can check out the "test app" running on Google App Engine at test.magmafortress.com and see the amazing glow in action by pressing "f" twice. 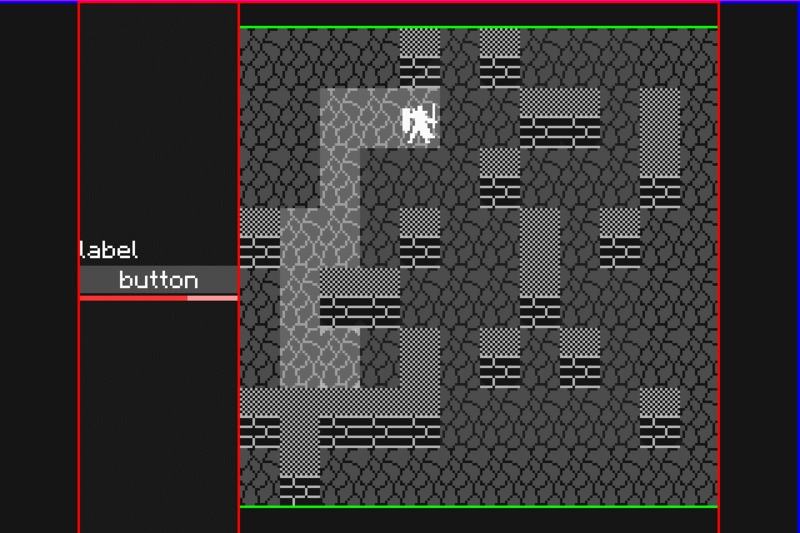 Edit: one more thing I forgot to mention that isn't shown in the screenshots is that my engine also has a simple particle effect system, which causes pixels to fly out when you hit a monster. Just thought I'd mention it in the interest of full disclosure as there's no way I'd have time to spend coding such a thing during the challenge.